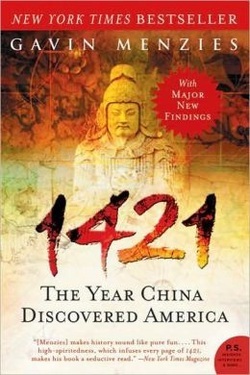 China's Discovery 1421 -  An epic journey of new discovery so fantastic that our natural instinct would be to block it out. This fascinating documentary examines the mystery surrounding the sailing exploits of the legendary Admiral Zhen He and his 30 year command of a gigantic Ming fleet. The Chinese court burned all records of Admiral Zhen He's daring voyages and achievements, and unwittingly created a mystery that tantalizes the world 500 years later. When they returned in October 1423, the emperor had fallen, leaving China in political and economic chaos. The great ships, now considered frivolous, were left to rot at their moorings and the records of their journeys were destroyed. Lost in China's long, self-imposed isolation that followed was the knowledge that Chinese ships had reached America seventy years before Columbus and circumnavigated the globe a century before Magellan. Also concealed were how the Chinese colonized America before the Europeans and transplanted to America, Australia, New Zealand and South America the principal economic crops that have fed and clothed the world. the largest fleet the world had ever seen set sail from China to "proceed all the way to the ends of the earth to collect tribute from the barbarians beyond the seas." When the fleet returned home in October 1423, the emperor had fallen, leaving China in political and economic chaos. The great ships were left to rot at their moorings and the records of their journeys were destroyed. Lost in the long, self-imposed isolation that followed was the knowledge that Chinese ships had reached America seventy years before Columbus and had circumnavigated the globe a century before Magellan. And they colonized America before the Europeans, transplanting the principal economic crops that have since fed and clothed the world. The Year China Discovered America, 1434: The Year a Magnificent Chinese Fleet Sailed to Italy and Ignited the Renaissance, and The Lost Empire of Atlantis: History's Greatest Mystery Revealed. His ideas have been profiled in the New York Times Magazine and the Wall Street Journal, and he has lectured at the Library of Congress, Royal Geographical Society, National Maritime Museum, and other prestigious venues. He served in the Royal Navy between 1953 and 1970. 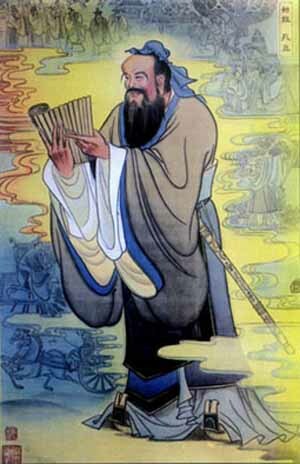 ​His knowledge of seafaring and navigation sparked his interest in the epic voyages of Chinese Admiral Zheng He. Menzies lives in London.